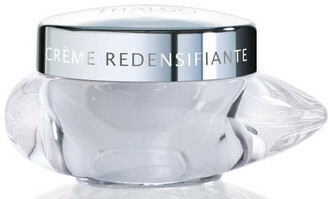 Drawing on the riches of the ocean to develop exceptional skincare products, experts in marine skincare and spa therapies Thalgo presents the Redensifying Cream ; a fine and velvety anti-ageing moisturiser that restores a luminous complexion and fills the appearance of fine lines and wrinkles to reveal a smooth, youthful looking visage. Fortified with the brandâ€™s patented Marine Replenishment Complex made from Algae extracts, the cream performs firming, tightening and lifting action, promoting elasticity and plumping skin with vital moisture to lessen the look of wrinkles and lines, whilst a plant trio revives radiance. With repeated application, facial contours appear resculpted and skin flaunts boosted radiance.